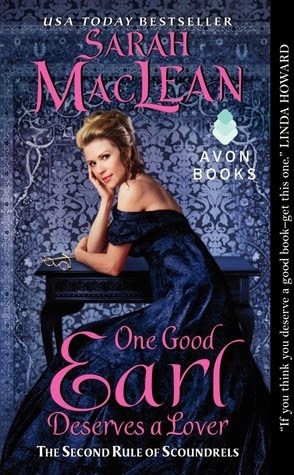 Seduced By A Book: Givaway ~ No Good Duke Goes Unpunished by Sarah MacLean comes out on the 26th and we're celebrating! Givaway ~ No Good Duke Goes Unpunished by Sarah MacLean comes out on the 26th and we're celebrating! Looking for your next favorite romance author? 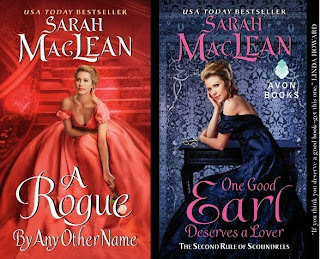 Check out RITA award winning author Sarah MacLean. 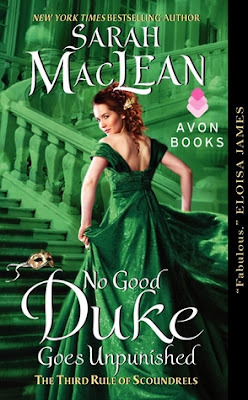 Her latest book, No Good Duke Goes Unpunished, comes out November 26th and we're celebrating. 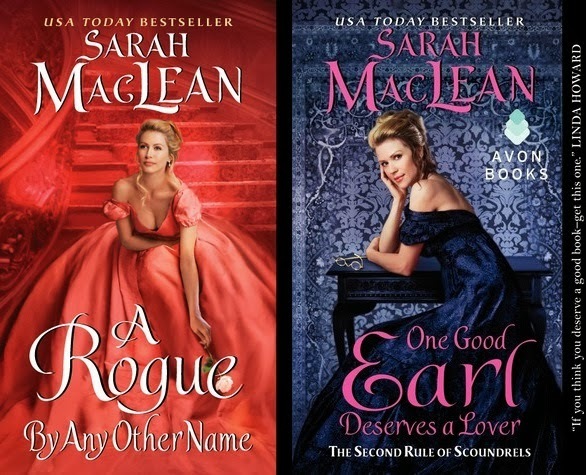 Enter below, and you could win the first two scandalous books, A Rogue by Any Other Name and One Good Earl Deserves a Lover, of Sarah's Rules of Scoundrels series. 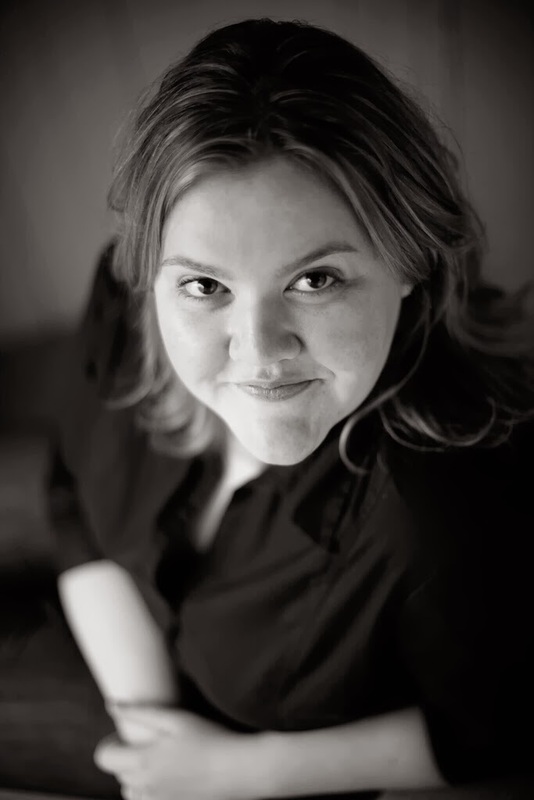 Sarah MacLean is a New York Times and USA Today bestselling author of YA and adult romance. She grew up in Rhode Island, where she spent much of her free time bemoaning the fact that she was more than a century too late for her own Season. Her unabashed addiction to historical fiction helped to earn her a degree in European History from Smith College before she moved to New York City to pursue a career in publishing. After receiving a Masters in Education from Harvard University, Sarah returned to New York, where she lives with her husband, their dog, and a ridiculously large collection of romance novels. Hmmm can I just have all of them? Though it is fun when the rogue comes into the picture with his bad boy reputation ;) Thanks for the giveaway! 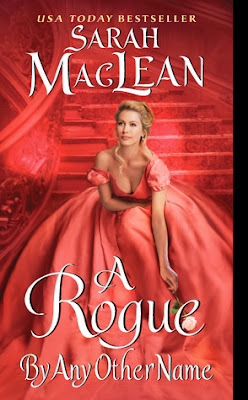 I'll take a Roguish Duke! I'd take a Rogue any day. Great series and I'd love to read it. I have had my eye on this series for a minute. I hope I win. Whee!!! Two books with the third book out soon?! SWEET!!! !